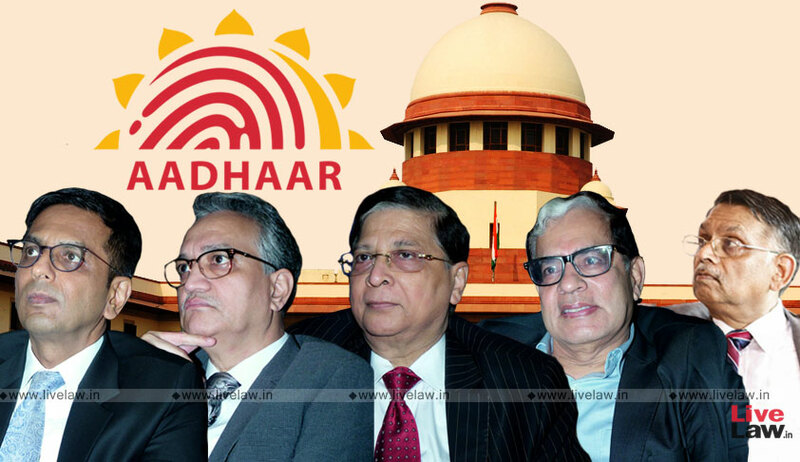 The Constitution Bench reserved the order on May 10 after 38 days long hearing in the petitions challenging the constitutional validity of Aadhaar (Targeted Delivery of Financial and Other. Subsidies, Benefits and Services) Act, 2016. The hearing started before the Constitution Bench of CJI Dipak Misra and Justices AK Sikri,AM Khanwikar, Dy Chandrachud and Ashok Bhushn on January 17,2018. “This has been the longest hearing before the apex court, second only to the hearing in the Kesavananda Bharti case”, remarked Attorney General K. K. Venugopal .